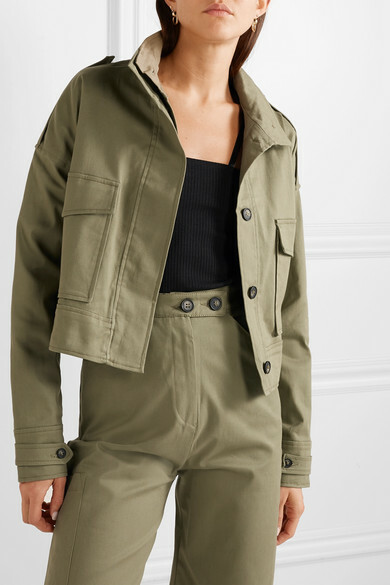 Utilitarian-style clothing is undeniably cool this season, which means The Range's military jacket should be at the top of your shopping list. 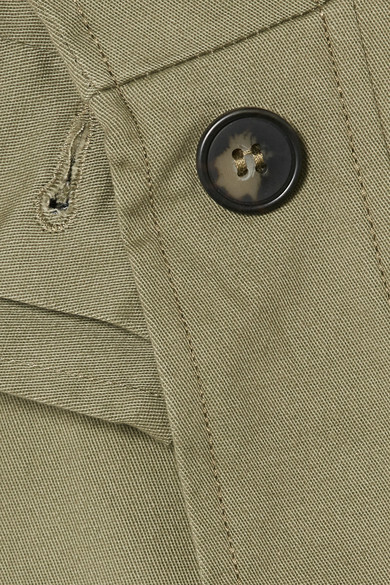 It's cut from cotton-blend twill in a boxy, cropped silhouette and has button-fastening epaulettes and oversized patch pockets. 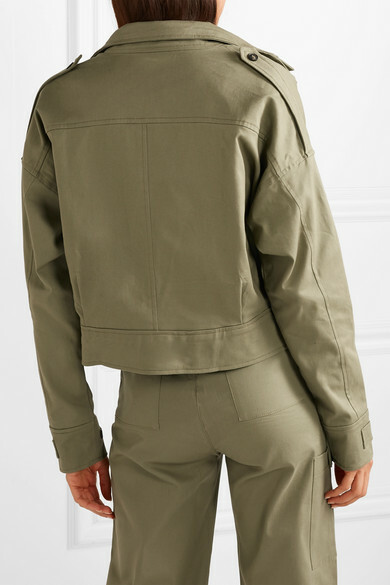 Wear it with the matching cargo pants and sandals. 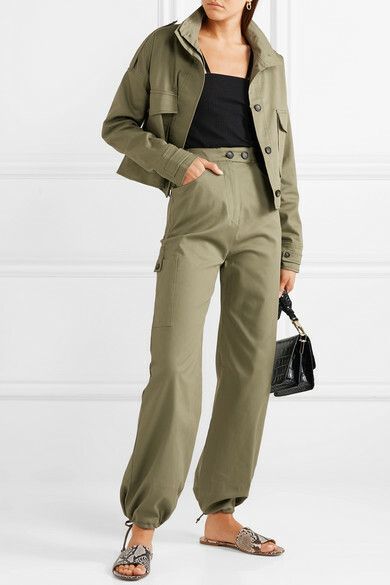 Shown here with: The Range Tank, Chylak Shoulder bag, Gianvito Rossi Slides, Laura Lombardi Earrings.